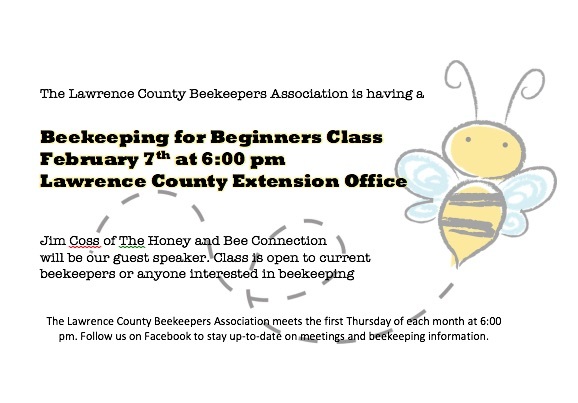 The Lawrence County Beekeepers Association meets the first Thursday of each month at 6:00 pm. The Lawrence County Beekeepers Association meets the first Thursday of each month at 6:00 pm. Follow us on Facebook to stay up-to-date on meetings and beekeeping information.